What is your old bear worth? What's My Old Teddy Worth??? The very best appraisal will be done by someone who knows about teddy bears. A knowledgeable collector (like my friend Bill that I mentioned on my 'cleaning an antique bear' page). Someone who keeps up with trends in the auction market and someone who you trust. A formal appraisal will cost something, but is the very best and most reliable way of getting an accurate picture of what a valuable item is worth. Always ask for the fee scale before committing to the appraisal, since you don't want it to be more than you can afford to spend. Write an inquiry to a reputable auction house about possibly listing the bear for sale with them. Most items will have a pre-auction estimate of what they might bring at the sale. But successful auction sales require that more than one dedicated bidder has to be present for the price to increase. By putting a "reserve price" on the item, you will insure that it does not get sold for much less than it's actual estimated value. However, remember, if you sell through an auction house you may pay a portion of the actual sale price to them as a commission. Take the bear to a few dealers in antiques telling them you are interested in possibly selling him. Carefully remember all they say about possible makers, etc. (Write it down so you won't forget what you are told) Remember that any amount they offer for purchase could be doubled or tripled when they retail the item. Look for notices of meetings of local teddy bear collector clubs in your area and go to a meeting. Take your bears or take pictures of your bears to show and ask questions. Don't give these folks any hope that they can purchase your bear or the price they mention might fall. Here in Kansas City the Mo-Kan Teddy Bear Society has had several events over the years to promote our club. They are generally held at a local Mall on a Saturday. We have been able to call on Bill Boyd or other members of the club with special knowledge of antiques to sit at a table during these promotions and offer low cost appraisals (generally $5--which goes into our fund to buy teddy bears for distribution to children in time of crisis and nursing home residents) . This kind of appraisal would be a pretty good place to get a close to actual value, if you remember that you are also dealing with only one individual's opinion and expertise. Since you, as users of the Internet, are familiar with surfing on the Net, I would recommend going to one of the larger auction sites such as eBay and looking at the antique bears on sale there. This is a time consuming task, but you will see many different types of bears there and by paying close attention to such things as "size", "materials", "manufacturer", "condition", "reserve price", etc. you will find out just how much these little critters are valued in the collector's market. Look long enough, and you may see a bear similar to one of yours. 50-100% isn't out of the ballpark) you can begin to get some idea of actual value. I recently heard from a nice lady who had visited my pages and wanted to get some information on a couple of old bears that had been in her family for a very long time. I advised her that anyone interested in determining the value of an older bear would be wise to do some research on the subject. 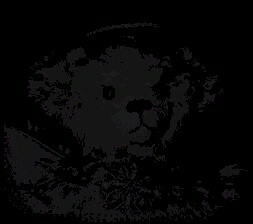 Try to find out as much about your particular bear as possible and then proceed slowly, before selling, when offered what may seem like a lot of money for "just an old toy bear". Granted, not every old bear is worth the big bucks. Many, many bears are just nice old bears and family keepsakes that are more precious to those that love them, than they would be to a collector of antique bears. A bear's value will be based on a number of factors. The most important feature will often be that it was made by a famous company such as Steiff, Ideal or Schuco. Also, there are many lesser known companies who made bears in the early days of the 20th century. They are even more rare to find and identifying them is even more of a challenge. If you know something of a teddy's past history, such as having a bear that belonged to an elderly relative from their childhood, you can expect that it will have value as an antique on the collectors market. Just how much, will depend a great deal on it's condition, and many other factors. Not the least of these will be finding the buyer (s) who just "must have" a particular bear for his or her collection. Having any identifiable tags, a button in ear or other markings is a definite plus. But so many older bears are easily recognized by their other characteristics such as shape of head, limbs or, sometimes, even their style of nose embroidery or expression, so "doing your homework" will help you to know if you have a potentially valuable bear. Every once in a while, there is a story about someone lucky enough to find a beautiful "treasure in the rough" at a yard or tag sale. It is, of course, every collector's dream to have this happen, but, conversely, in order for someone to make a bargain purchase, someone else must unwittingly place for sale a valuable old antique. Don't let yourself be a victim of selling a good antique, collectible teddy for pennies-on-the-dollar. Use the information above to help you gather the data necessary that will help you to know what your dear little old bears are worth, either for purposes of insuring them or for resale.